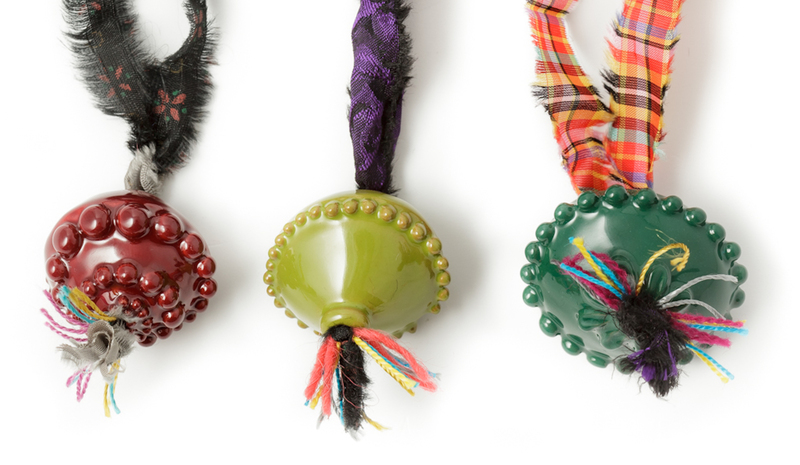 Coro is the prized decorative element inspired by the amulets of the local popular tradition that contained elegant brocades and other small objects, cherished by those who placed them there. 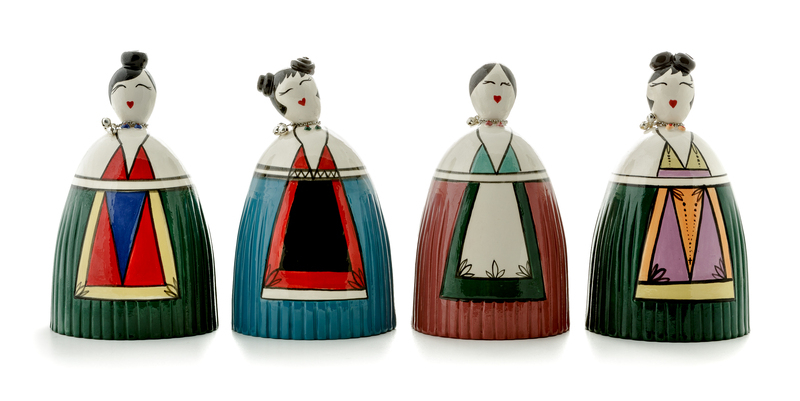 Elegant yet merry, the Comaredda small sculptures in glazed ceramic interpret with contemporary style the female figures wearing local traditional costumes, inspired in style by the Japanese kokesci, wooden dolls wearing local garments. 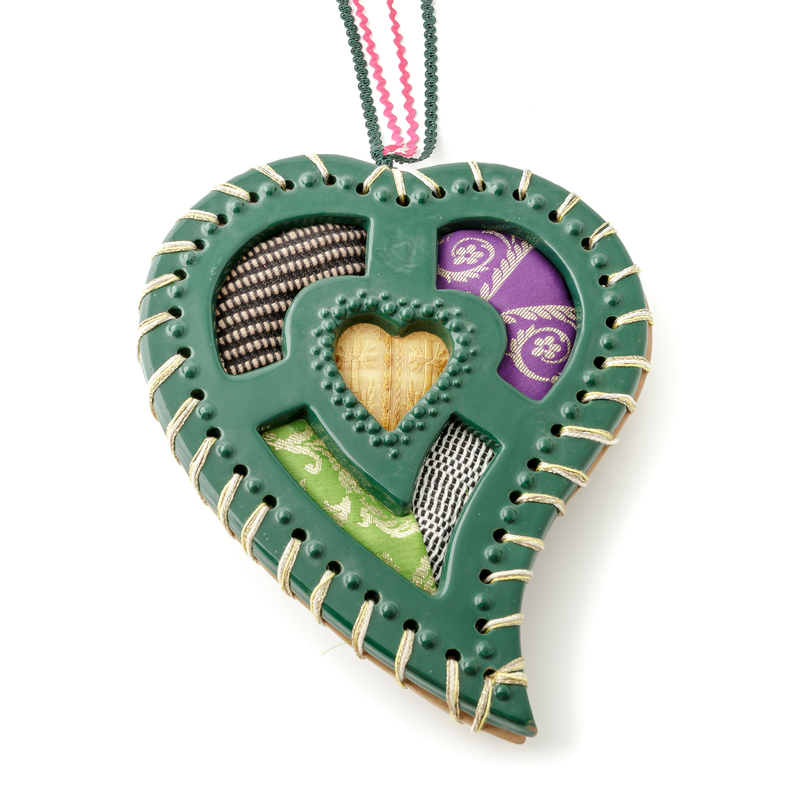 The Bottoni collection is part of the Amore sardo Amor profano project, a ceramic jewellery collection inspired by the island's goldsmith's tradition. A strong identity, masterfully interpreted through original and contemporary expressive jargons. 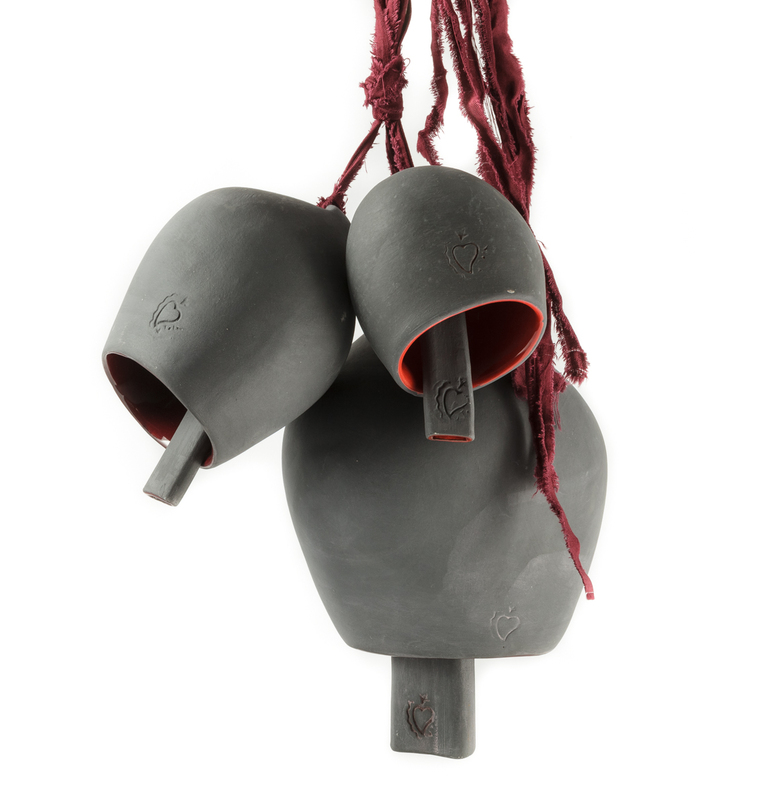 Available on its own or in free compositions, a cowbell becomes an explicit reference to the five senses as a means to understand the essence of life. 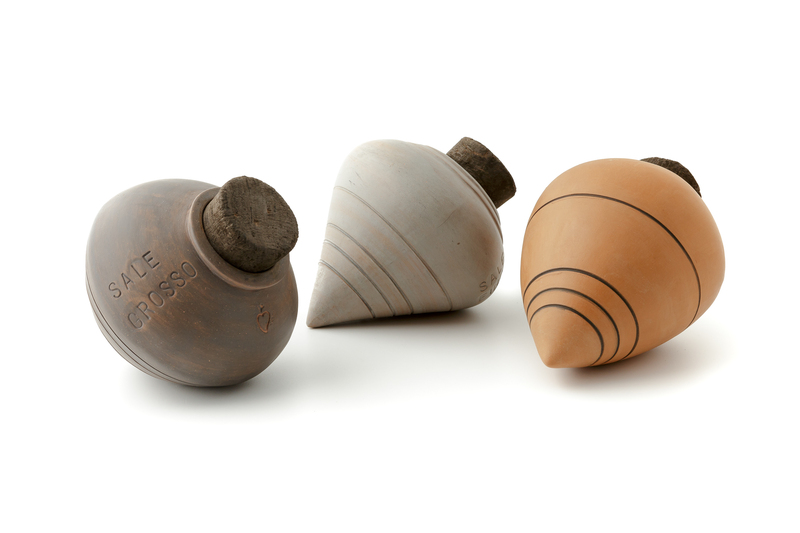 The spinning top, a wooden toy of the local tradition, is reproduced in its original forms so as to create unusual piggy banks or receptacles for the kitchen of contemporary and exclusive and aesthetic taste. Driven by passion and love for ceramics, having completed the course of study at the Art Institute of Oristano, Valeria Tola opened her own workshop in 1992 in Macomer, where she still creates and produces. Her work is characterized by the re-reading of the multiple forms of expression of the material culture of Sardinia, reinterpreted through contemporary tastes. Textiles, jewelery, embroidery make up the rich iconographic heritage inspiring the objects she crafts, with an explicit identity value and consistent with the most sophisticated contemporary craft. Her curiosity led her to collaborate with other creatives, prompting joint projects which stimulate and enrich her expressiveness, opening up to new opportunities for projects, which are still in progress. Her eclectic and interesting production ranges in many areas and sectors: objects of daily use, such as plates, bowls, centerpieces, cups and jugs, available in various different versions, are associated with ceramic jewelry, inspired by the sophisticated buttons used in traditional attires; bells of archaic form but extraordinarily contemporary are designed to make our lives merry and joyful, icons of a sophisticated and contemporary crafts. The fully manual work is expressed through different techniques and materials, in relation to the object and the intended use. Plate forming, coiling, molding, are masterfully executed and designed based on artistic inspiration and the intended use. Decorative mixed techniques include fretworks, graffiti and reliefs, with second and third fire glazes, tools of artistic cheerful and lively expressiveness.